It’s Here! The Free eCookbook Has Landed! Email friends and family, share it on facebook, tweet it, simply talk about it … we want as many people as possible to have the tools (a.k.a. recipes and food ideas) to transition their own diet and their family’s even further away from processed foods and closer to whole foods!! Thank you for your support and enjoy! Pingback: One Frugal Foodie » More Than 25,000 of You! This book is amazing! The recipes are easy to follow, taste great, & give me inspiration when I need it. I also love being introduced to new products & brands. I can’t wait for sequel. I am a mom of two (6 and 4) and although we have no food allergies i am constantly looking for healthy alternatives. Your ebook has opened up a whole new world to me. My finicky eaters love the recipes and i have gotten my friends to be taste testers. Thank you, thankyou, thank you. The breakfast recipes look good. I’m allergic to eggs and bananas – do you have any suggestions for substitutes for these foods? It would really depend on the recipe. If you are using bananas for flavor and sweetness in a recipe (like banana bread), simply sub in applesauce or another rich fruit. My favorite to use in place of banana is mango. For eggs, it really does depend on the recipe. Assuming that the recipe is NOT gluten-free (that will take some trial and error since gluten acts as a binder – removing both the gluten and egg would require experimenting), you can use subs like a “flax egg,” which works well in cookies and heartier baked goods like muffins, or even in things like meatballs (chia seeds also work well in this fashion). For other baked goods you might use applesauce or pureed silken tofu (3 to 4 T per egg), and an added 1/8 t of baking powder per egg. If the recipe is already quite glutenous, it will often still work well if you simply increase the liquid by 1/4 cup per egg (like in yeast breads). What an incredible resource, so generously provided by a large community of health minded bloggers. Thank you for sharing this. I will be passing the word around for your e-book, I know people will be as grateful as I am. Thanks Jeanette! So glad you like it and I appreciate you passing on the message! Hi Alisa – what a great idean. This free cookbook is amazing. 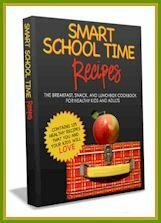 I was wondering how you went about creating a free E-cookbook? Any information on this process would be super helpful. Can we still get a hard copy of this book ? If yes where (bookstore in Canada – Montreal area or through the web – not able to find on amazone.ca) ? I just bought your diary free book for my girlfriend who has diary allergies. Would like to have a copy prior November 29 since it is her birthday and I’m sure she will like both of your books. 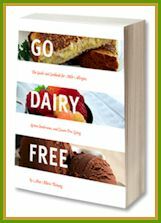 Hi Michel – Go Dairy Free is available in hardcopy, and is in Canada too (see Amazon.ca). 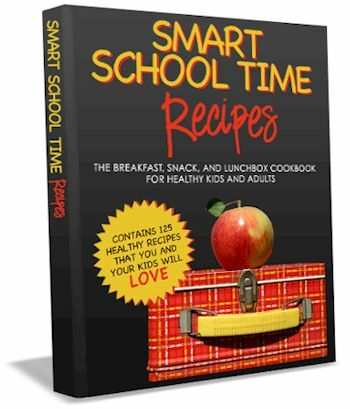 However, Smart Schooltime Recipes is an e-book only. It is free and instant to download on this page. Unfortunately, no physical book for that one though! What an amazing FREE cookbook! As I scanned through the recipes I kept thinking of more people who would like this book. I will send it to several people along with a link to your site. Of course I subscribed. I don’t need gluten-free, dairy-free or nut-free but I also don’t need gluten, dairy or nuts. I love your all-inclusive attitude. I’ve tried multiple times to download this e-book and nothing happens! What am I doing wrong? Usually, I have no problem downloading things. No problem here, it seems to be working fine. Did you download the latest version of Adobe acrobat? See the link in this post (right below the ebook) to make sure you have the latest version. Without it you may have trouble viewing and downloading the ebook. Adobe is free, too. Alisa I am so excited to try out these recipes! Thank you so much!